Have you ever dreamt of sailing along your favourite coastline or amongst the tropical islands of the South Pacific? Maybe you prefer the challenge of sailing across the Southern Oceans enduring the fiercest storms they have to offer? Or maybe you just wish to learn to sail but have no access to a boat to do so? With Sailaway you can do all of these things. 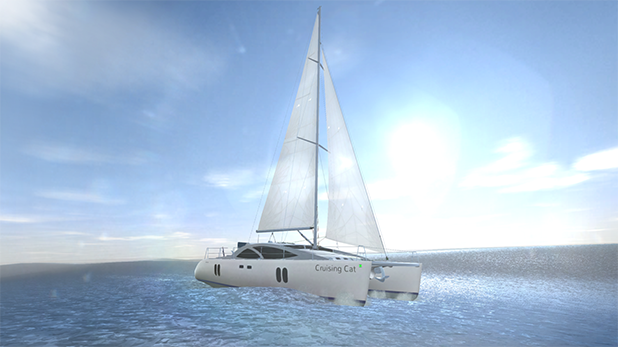 Sailaway – The Sailing Simulator brings all the world’s oceans to the comfort of your PC or Mac for you to experience the ultimate in online virtual sailing! In Sailaway, the oceans of the planet have been recreated with unparalleled accuracy; making a trip across the Pacific take months, just as it would on a real boat. With a persistent online world, adjust your settings and your boat will continue to sail even if you aren’t online. Receive updates via email as your boat continues its progress, but don’t forget to check in often – with real-time weather data pulled from the National Oceanic and Atmospheric Administration (NOAA) conditions can change in just a few hours. 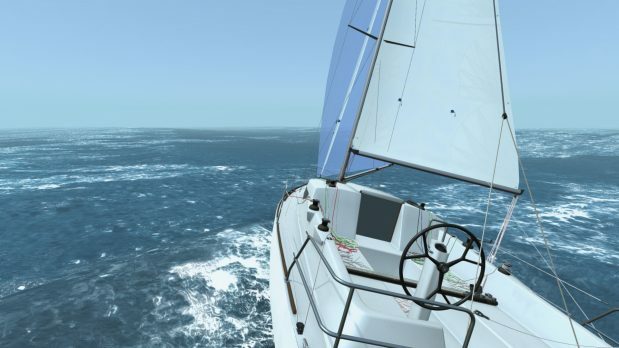 Sailaway gives players the most realistic digital sailing experience to date with in-depth simulations of weather, wind and currents while your boat and it’s sail are modelled to give even the most experienced sailor a work-out. 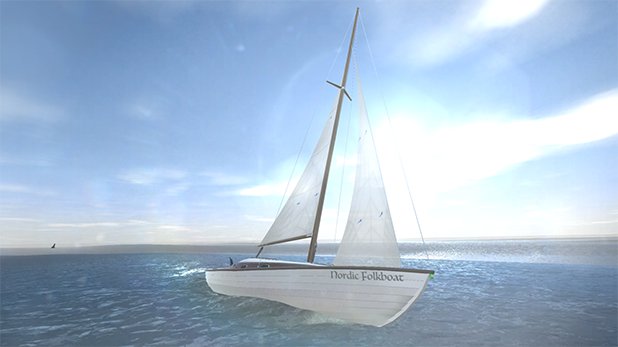 The early difficulty modes will let you sail away while you learn the game and then it truly comes alive when the virtual help is removed and it’s you against the forces of nature. If you’re going to beat your friends then you’ll need to plot your course and constantly monitor your sail’s shape, use any slight advantage to help you arrive first! Sailaway includes a variety of lovingly created boats for you to sail the world in, these can all be customised in hundreds of combinations using the provided options or by uploading your own textures for that extra something special! With Steam Workshop integration you can then share these designs with other sailors to enjoy. A 38′ cruiser with good performance. With all the trim lines a sailor would desire. A tiny boat for experienced sailors. It sails like a dinghy and is very fast on a reach. With all the sails and trim lines you’ll need. 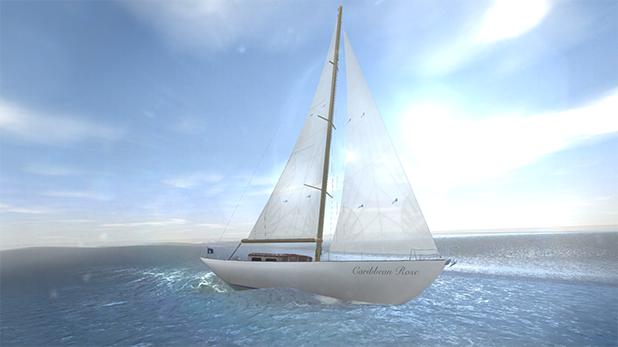 The beautiful lines and craftsmanship of antique boats are reflected in the Caribbean Rose. Easy to sail, with a long keel. The ideal boat for exploring the Pacific Islands. Easy to sail, little heel and solid as a rock. A very fast boat, that could almost pass for a racer. For experienced sailors who know how to push a boat to the limit. A small, but fierce boat with lots of character. Ideal for learning how to sail, because it only has a mainsheet and a rudder to control. 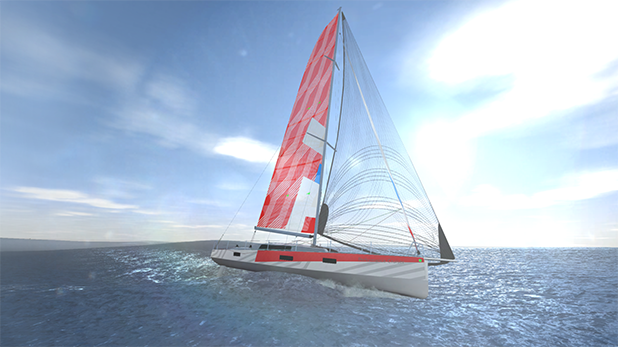 Foiling monohull for club races. It’s fast, challenging and exciting. 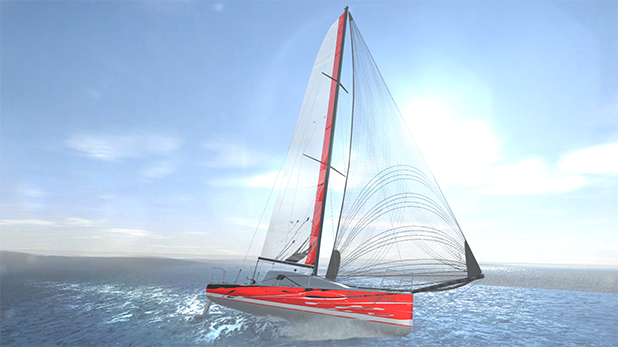 The foils increase stability and reduce drift. The ocean can sometimes feel like a lonely place which is why Sailaway includes plenty of ways to enjoy activities with friends and strangers alike. 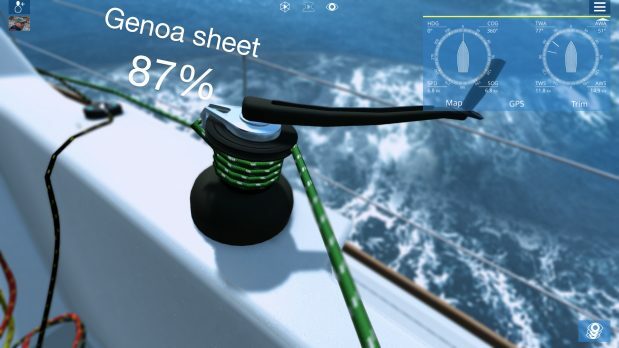 Real-time global, local and group chat will allow you to communicate freely with other sailors to organise your own voyages or even to just pass on sailing tips! Invite others to your boat to help tackle the voyage ahead or if you fancy some friendly competition you can invite them along with their boat to sail alongside each other, we make it easy to share the sailing experience with others. If competitive racing is more your thing then we also have you covered, Sailaway lets you take part in races across the globe! Record your finish times in our online leaderboards and challenge one another for the top spot. Maybe you have the creativity to design your own races? 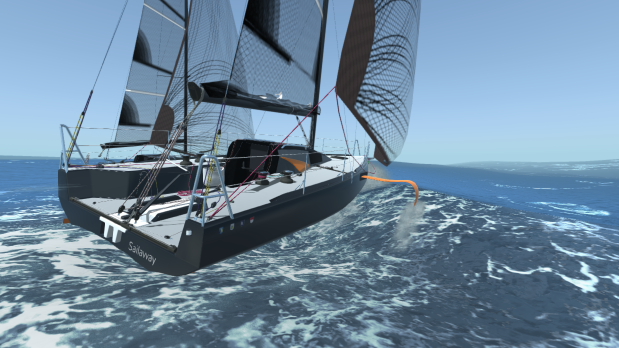 Sailaway allows all its sailors to create races for others to compete in via its Player Created Races feature. Sailaway has been designed to accurately simulate the wonders of sailing as realistically as possible, which means all the little details count! 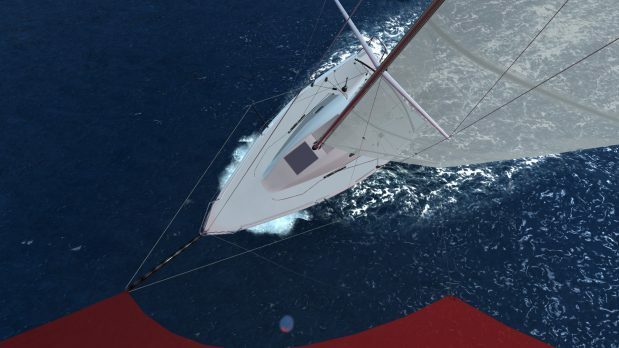 Real Sail Trim – Every control you would expect to find on a real sailboat is here to use in Sailaway, you will be using sheets and trim lines to optimize the shape of your sails and gain every second you can on your journey or race. Real Weather – The clouds, wind, fog, rain and snow are all simulated according to the real weather as provided by National Oceanic and Atmospheric Administration (NOAA). This means you can use actual weather predictions from your favorite weather service to plan your journey. 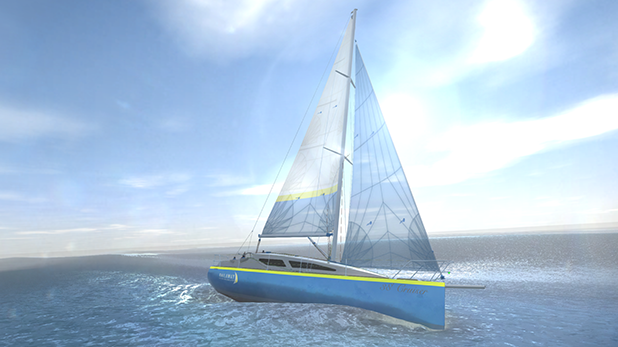 Real Waves – Sailaway simulates the waves accurately, taking the history of wind direction and wind speed into account, as well as current, water depth and nearby islands or shallow areas. The North Sea has different waves than the Atlantic Ocean or South Pacific and each present their own set of challenges. Real Water – The colour of the water you sail upon is effected by a great many things, from the blue of pure water to the brownish colour of muddy rivers. Sailaway adjusts water colour by depth and other influences before it renders a single drop of water to make it as realistic as possible. Real Sky – Our ancestors navigated by the stars which is why we made sure the positions of the sun, moon, planets and stars are all correct. There is even a handy feature that highlights the constellations but just like in the real world if the sky happens to be cloudy there will be nothing to see but darkness. Real Maps – To aid navigation there is an interactive map that can zoom from world scale to small coves, displaying deep and shallow areas, rocks, buoys, lights and everything you need for a safe journey. Sailaway Copyright © 2019 All rights reserved. Subscribe to our mailing list and keep informed about all things Sailaway related!